Rafe Khatchadorian has enough problems at home without throwing his first year of middle school into the mix. Luckily, he's got an ace plan for the best year ever, if only he can pull it off. With his best friend Leonardo the Silent awarding him points, Rafe tries to break every rule in his school's oppressive Code of Conduct. Chewing gum in class—five thousand points! Running in the hallway—ten thousand points! Pulling the fire alarm—fifty thousand points! But when Rafe's game starts to catch up with him, he'll have to decide if winning is all that matters, or if he's finally ready to face the rules, bullies, and truths he's been avoiding. 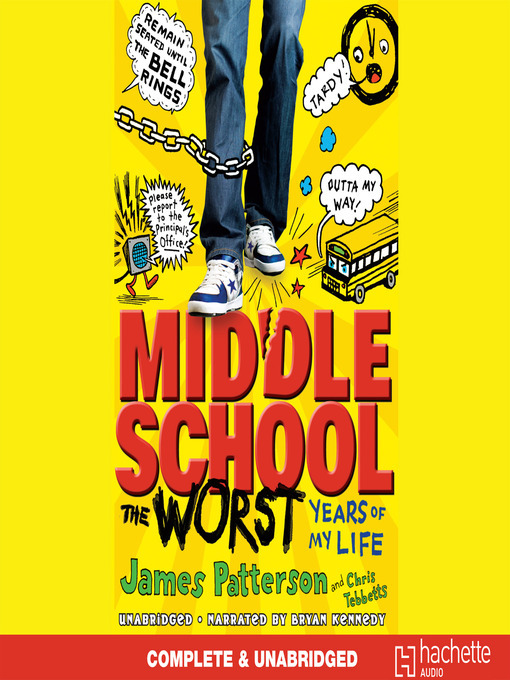 Blockbuster author James Patterson delivers a genuinely hilarious—and surprisingly poignant—story of a wildly imaginative, one-of-kind kid that you won't soon forget. James Patterson is one of the most popular writers of all time, with more than 350 million copies of his books sold worldwide. He holds the record for most New York Times bestsellers and is the author of the two most popular detective series of the past decade, the Alex Cross novels and the Women's Murder Club. Patterson has won an Edgar Award, the mystery world's highest honor, and his novels Kiss the Girls and Along Came a Spider were made into feature films. 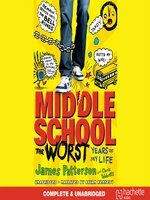 Patterson turns from the governmental oppression of his Witch & Wizard series to a more everyday form: the social and academic confines of middle school. Emboldened by his friend Leo, newly minted sixth-grader Rafe Khatchadorian embarks on a plan to break every one of his school's rules, frustrating his teachers, causing his grades to suffer, and landing him in detention. Things aren't any better at home, due to the constant, unpleasant presence of "Bear," who Rafe's mother is dating. Park's cartoons are pitch-perfect and do their share of storytelling, sometimes betraying the gap between Rafe's version of events and reality (in one scene, a teacher, portrayed as a dragon, screams, "I don't want to eat you. Just talk to me"). The subject matter gets surprisingly dark, particularly regarding Bear's emotional abusiveness and two twists involving Rafe's relationship with Leo, though the latter arrives so late its impact is weakened. But the book's ultrashort chapters, dynamic artwork, and message that "normal is boring" should go a long way toward assuring kids who don't fit the mold that there's a place for them, too. Ages 8â12.